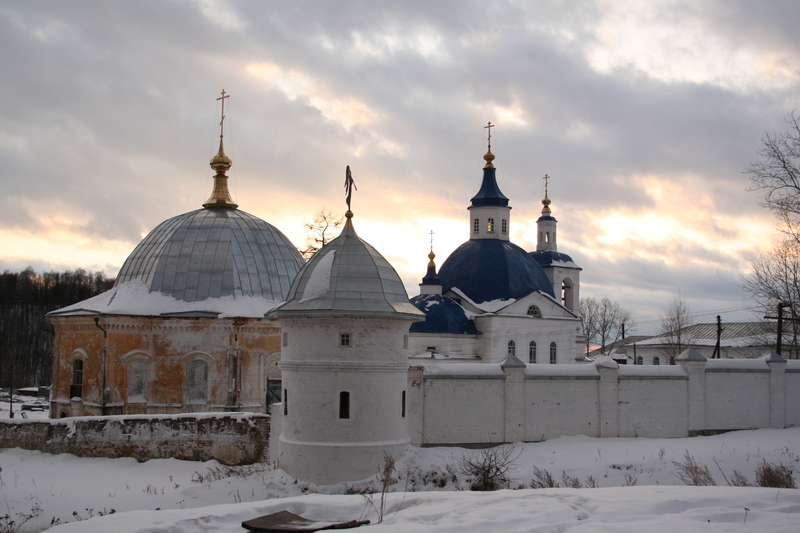 Tobolsk is an average Russian town located in the middle of the western Siberian plain. It used to be the capital of the whole of Siberia until the 20th century when the Trans-Siberian railway was built just south of here, when Tolbolsk reverted to being a small provincial town. 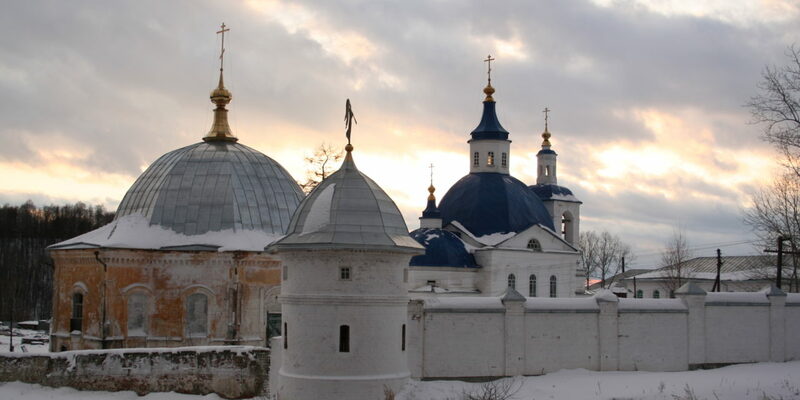 Nevertheless, Tobolsk remains an historic capital of Siberia and one of the most beautiful cities for those interested in Russian architecture of the 17th and 18th centuries. Architecture here has a particular style that you cannot find in the European part of Russia. I spent my childhood in Tobolsk and I am used to the cold Siberian winters with lots of snow. White-stone historical buildings look even better during this time of year, adding a magical lightness to the massive structures. I don’t live in Tobolsk anymore but I had a chance to walk around just before Orthodox Christmas and took some pictures to remember how my town looks during the winter. 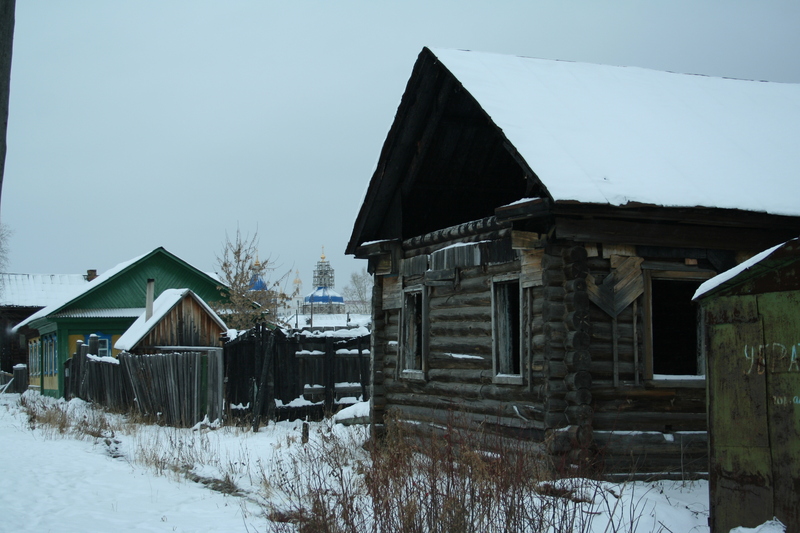 Tobolsk, as any settlement, has changed over the years and looks totally different than it did when I was young. Now you can find three distinct districts that were formed during different periods: the modern town with boring Soviet architecture of apartment blocks; the historic center, where there is dynamic reconstruction activity; and the old district that was neglected during the Soviet period because of frequent flooding and a damaged drainage system. 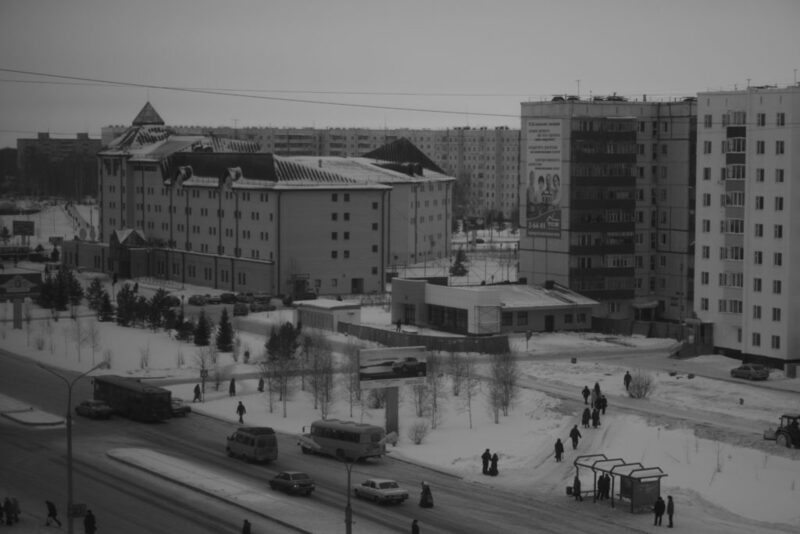 The modern town does not attract many tourists because it has a typical modern Soviet development zone with straight blocks and wide roads. There is everything that is usual for such kind of town: blocks of flats, schools and colleges, a shopping center and restaurants, hospitals, etc. There are not many recreational places there. But during the winter an ice fortress is usually built with slides of different sizes where people of all ages can enjoy real Russian wintertime amusement. 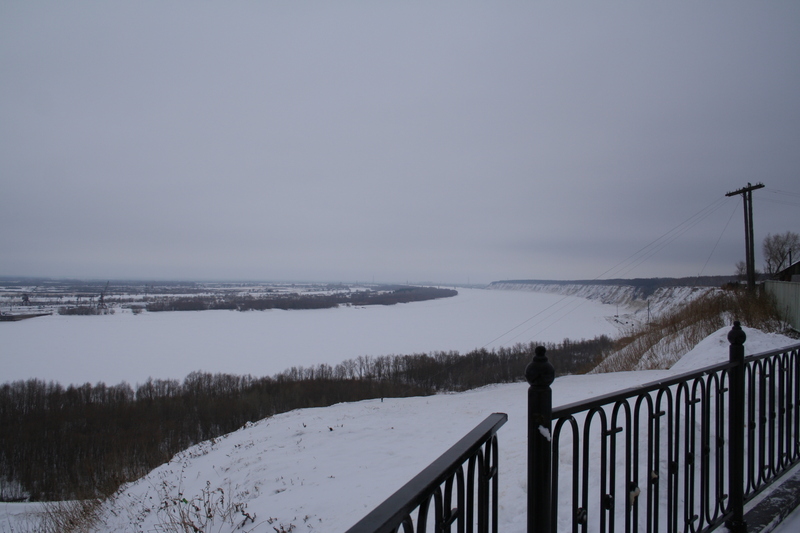 Other people prefer to go to the historical center to get a view of the Irtysh–one of the biggest Siberian rivers. The historical center is concentrated around the stone Kremlin—the elaborate fortress which sits spectacularly on the high river bank. It used to be the center of Tobolsk. It’s composed of white walls and towers with an ensemble of churches and palatial buildings. The Kremlin was declared a national historical and architectural treasure in 1870; however, during Soviet times it was used for different purposes. One of the most beautiful buildings of the Kremlin is the bell tower which is also the highest structure. It was not used during the Soviet era; I remember that it was a big deal for the whole town when bells were placed back and we heard the first ringing after so many years of silence. In the end of the 20th century it became a third headquarters for the Russian Orthodox Church (ROC) after Moscow and Saint-Petersburg. Now the whole area of the Kremlin is under the ROC’s control; nevertheless it is still open for people to visit, especially during religious holidays. The last part of the town is located on the low river bank and is not in good condition. It was the living area of the former Siberian capital with many beautiful churches and wooden houses. After the revolution of 1917 the last Russian tsar, Nicolas II was kept there with his family. They stayed in Tobolsk about nine months just before being moved to Yekaterinburg where they were executed in July 1918. The building where they lived is still there with a small chapel where the whole family used to pray every day. In the 1920’s, the drainage system that spared the town from massive flooding was destroyed and the whole area fell into decay. Now you can see many burned-out houses and neglected buildings. Some areas are still occupied with people who did not want or did not have the opportunity to move to the new town. It looks like a typical Russian village with animals and small vegetable gardens. Among them you can still see domes of abandoned churches. Some of them were used as storehouses, some were just destroyed. One church, where Mendeleev, the famous Russian chemist who created the periodic table, was baptized, was blown up in the early 1930’s. The monastery that was located in the middle of this part of town was redeveloped into a small factory that is not in operation anymore. During the winter it looks really depressing here, however last year’s city government tried to pay more attention to this area and started some redevelopment projects. My favorite church, Holy Cross Church (Крестовоздвиженская церковь), is located close to the river in the southwestern part of old town. It was built in 1781. 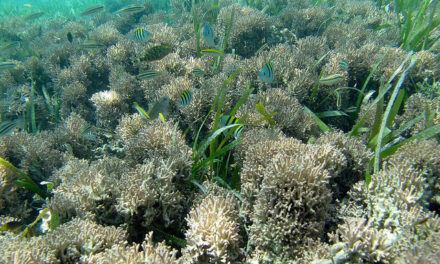 In the 20th century it was neglected and flooded several times. It is a unique church because it combines different styles of architecture and the interior is not typical for a Russian Orthodox church. I was lucky to see it when I was a teenager and it was possible to go inside all these churches because nobody cared about them. In most of them, all of the insides were destroyed, but Holy Cross Church was the lucky one because stairs to the second floor were totally blocked with crumbled walls and nobody could go there. But if you climb up the bell tower and then walk along the roof, through small windows it is possible to see the unique inner decoration. 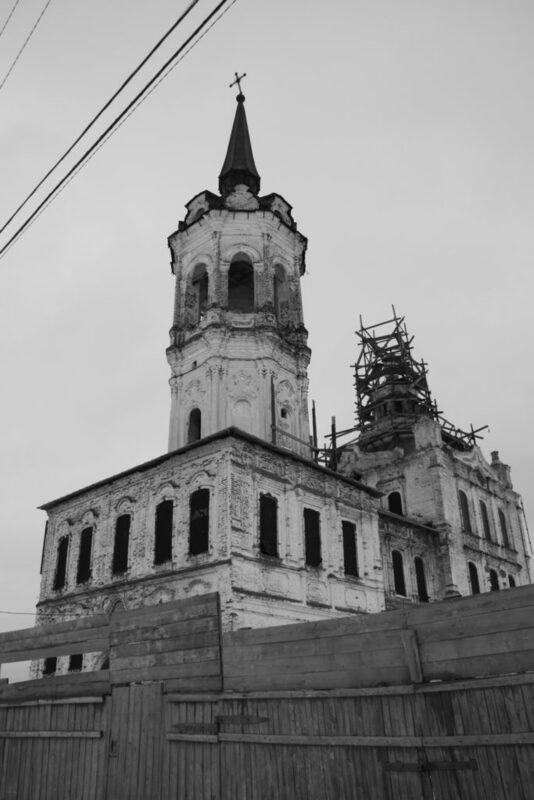 There is a famous legend about the church that in the 1930’s people from the Soviet government tried to tear a cross off from the bell tower several times. But it never fell; they only bent it. Then a man climbed to the dome to try one more time and he fell down and died. After this they stopped trying. Now you can still see the bent cross on top of the bell tower. The church was surrounded by a fence the last few years because of its supposed reconstruction; but it’s not possible to see it closely. Outside the town there are two monasteries that now are also under control of the ROC. They were nearly rebuilt by monks during the last couple decades. Usually visitors are not allowed to go there, however it is still possible to enjoy the spirit of the impressive structures from outside. Tobolsk has recently become more popular among international tourists during the summer. However, being situated just off the Trans-Siberian railroad, it still does not get the proper attention from visitors that it deserves. The Russian government promised to invest more to promote the Siberian pearl—then name formerly given to Tobolsk because of its historical and architectural treasures. However, now more and more people are leaving town because of its ceaseless economical decline. 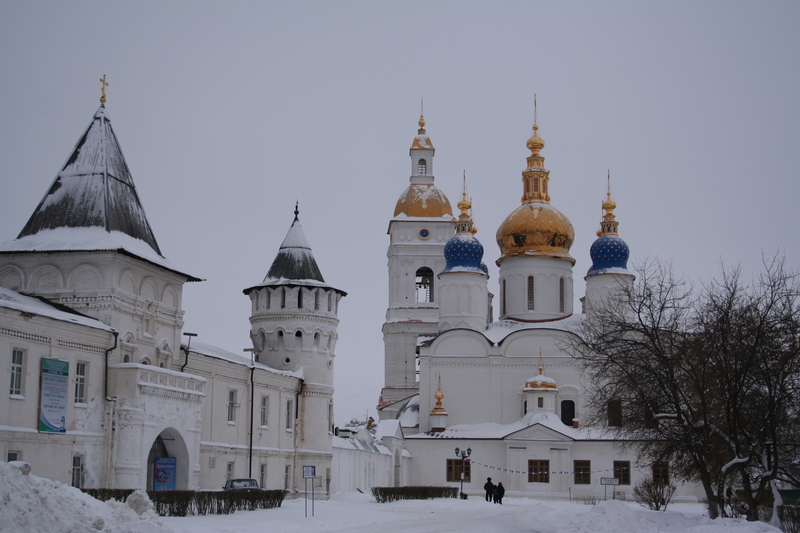 Hopefully in the future Tobolsk will become the tourist capital of Siberia. Tobolsk is located 250 km (155 miles) from Tyumen, the capital of Tyumen region, which is located on Trans-Siberian road and has an international airport. You can take the bus from the interurban bus station; the trip lasts about four hours. There are several kinds of trains that go to Tobolsk from Tyumen. The best option is the train that goes once per day without additional stops. It is cheaper than the bus and it takes the same four hours. Because of the economic decline, the crime level in town has been growing during last few years; that is why you need to be careful during the evenings and nights. In general, people in Tobolsk are friendly and open as people from any of the Russian provinces. Nelya Rakhimova grew up in the town of Tobolsk, Russia, and moved to Tyumen when she was 15. She has spent the last few years traveling and studying in various countries and is now pursuing a master’s degree in the United States on a Fulbright Scholarship. This is her first feature for GoMad Nomad. Hi, Nelya. mayby you can help me in my fruitless search. I’m trying to find my long lost friend who moved from Swierdlowsk to Tobolsk to be a kremlin architect. His name is Giennadij Wieretiennikow. he moved with his wife Anna just about 1979. I’ll be happy to renew conntact with them or to know what had happend to them. You can write me in English, Russian and Polish. Since you are a former resident of Tobolsk, I’d like to ask you some questions about this city. My father & his parents lived there during WW2. My husband and I are tavelling (May 2016) from Beijing to Moscow by train, and wondering whether you would spend more time in Tobolsk than Tyumen? We were currently looking at 2 nights in Tobolsk and 1 night in Tyumen, depending on train schedules of course. Do you think this is a good plan? Wonderful. My grandmother (Ustina Fedorovna Mescheriakova) was born in Tobolsk (15 September 1903). 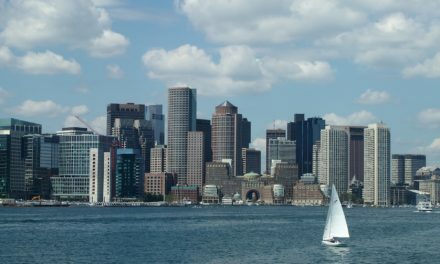 The town’s “economical decline”… is a slightly misleading English useage of the root word economy. “Economical” is a word always associated with frugality and/or doing a certain task on a limited budget. A good deal. A wise use of funds. Is the proper use of the word “economical”. The town’s “economic decline” is a much more appropriate word for conveying the intended information to the reader. The word used in this context better connotes information about the recent decline in gross economic activity of the town and its immediate area. the gross flow of money in a town or region. PS we live 28 miles from the nearest town in the mountains of California. And occasionally have some time on our hands. We are under 12 feet of snow ❄️ for four months a year. And when we are snowbound it would be fun to help you fine tune you writings. You are actually very close to not needing help with the current version of American English. We have written scientific and non scientific papers in our careers and we like your writing. You are actually making very few mistakes. But the more eyes the better sometimes. If you think it may help a bit, we would be glad to do a last “once over” on some of your final drafts for you. You are doing good work. Hang in there.